The below article has been written by Dr Tanith Davidson, who uses drug-free interventions to treat and manage ADD, ADHD and other learning and behavioural disorders. To make an appointment with Dr Tanith Davidson please contact her receptionist by visiting the contact page. ADD VS. ADHD, WHAT’S THE DIFFERENCE? A child can have any combination or degree of these behaviours. Attention deficit disorder (ADD) generally refers to the predominantly inattentive subtype of ADHD. In order to meet diagnostic criteria, these behaviours must be excessive, long-term, and pervasive. The behaviours must appear before age 7, and continue for at least 6 months. A crucial consideration is that the behaviours must create a real handicap in at least two areas of a person's life, such as school, home, work, or social settings. These criteria set ADHD apart from the "normal" distractibility and impulsive behaviour of childhood, or the effects of the hectic and overstressed lifestyle prevalent in our society. According to the DSM-IV (the Diagnostic and Statistical Manual of Mental Disorders, Fourth Edition) some common symptoms of ADHD include the following: often fails to give close attention to details or makes careless mistakes; often has difficulty sustaining attention to tasks; often does not seem to listen when spoken to directly; often fails to follow instructions carefully and completely; losing or forgetting important things; feeling restless, often fidgeting with hands or feet, or squirming; running or climbing excessively; often talks excessively; often blurts out answers before hearing the whole question; often has difficulty awaiting turn. It is to be noted that the exact nature and severity of ADHD symptoms varies from person to person. According to 2013 statistics, approximately 11% of U.S. children aged 4 to 17 have ADHD. This is a 16% rise since 2007. An estimated 1 in 5 boys in high school are reportedly affected and boys are generally more affected than girls. ADHD usually persists throughout a person's lifetime. It is not limited to children. Approximately 60% of children with ADHD will continue to have significant problems with ADHD symptoms and behaviours as adults, which impacts their lives, their jobs, the family dynamics and their social relationships. Studies have shown that parents sometimes over-predict diagnosis of ADHD in their children, because they misremember their own childhoods as times of attentive and tranquil learning. Teachers can also over-predict ADHD diagnosis because they expect ADHD treatment to result in quieter classrooms. And children often under-predict ADHD diagnosis because they have no reference point beyond their own behavior, which they see as normal. In any given case, the parents, the teacher, and the child rarely agree on whether the child has ADHD. 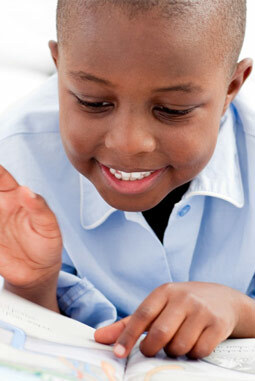 Research at the University of Central Florida indicated that playing with your hair, wriggling in your seat etc. is not necessarily a sign that a child is distracted and not learning. It reported that squirming and fidgeting can be a way in which children maintain their cortical arousal, especially their working memory, when faced with a dull task. The study found that children with ADHD who are told to sit still perform worse on tests than those allowed to move around naturally. ADHD may be caused by biological factors which influence neurotransmitter activity in certain parts of the brain, and which have a strong genetic basis. Studies to observe the brain at work have shown a link between a person's ability to pay continued attention and the level of activity in the brain. In people with ADHD, the brain areas that control attention were less active. It appears from this research that a lower level of activity in some parts of the brain may cause inattention and other ADHD symptoms. There is also evidence that ADHD runs in families, which is suggestive of genetic factors. If one person in a family is diagnosed with ADHD, there is a 25% to 35% probability that any other family member also has ADHD, compared to a 4% to 6% probability for someone in the general population. Experts at Cardiff University analyzed stretches of DNA from children who had been diagnosed with ADHD. Genetic samples where then compared with DNA from children without the condition. Compared with the control group, more children with ADHD had rare but large portions of DNA that were either missing or duplicated. The implication is that these regions may be crucial to development of the brain in the womb or in infancy, and that disruption may play a role in ADHD. Considerable research links ADHD with high heavy metal levels, especially lead, aluminum, cadmium, mercury, manganese and copper. A UK study found ADHD students were 17 times more likely to have high lead levels than controls. Testing children with ADHD for heavy metals should form part of a holistic assessment and treatment course. It should be noted that heavy metal urine testing should be done as a challenge test or else a false negative result may be seen. Stimulant medications (Ritalin, Concerta, Strattera etc.) are commonly used to help normalize brain activity. The latest studies show that while ADHD drugs can be effective, some kids may be wrongly diagnosed, and therefore inappropriately treated with the stimulant medications. In a recent study an analysis of prescriptions for ADHD shows that the youngest children in a school classroom are 50% more likely to get a diagnosis, raising the concern that these children may simply be less mature than their older counterparts, and not experiencing ADHD at all. In 2007, the number of prescriptions written for youth aged 10 to 19 years old rose 26% year-on-year, to 21 million annually. A study in 2008 showed that 5% of six to twelve year olds in the U.S. were taking stimulant medication to treat ADHD, a percentage that has continued to rise since the 1980s. Alternative treatments such as homeopathy, dietary changes, herbal remedies etc. are often tried by parents and patients. Unfortunately, parents and patients often fall prey to the growing over-the-counter supplement industry touting remedies and herbs and supplements apparently designed to treat ADHD, but that are inadequately formulated. Although some products may be legitimately formulated and tested, many are not. Alternative treatments are most effective when prescribe by a trained, knowledgeable and experienced practitioner with access to the latest research information on these modalities as they relate to ADHD. Alternative treatments should also rather be prescribed according to each individual's characteristic symptoms. Possible causes, contributing factors, obstacles to cure, the individual symptoms (mental, emotional and physical), lifestyle and age of the patient all need to be considered when developing a treatment plan, once special testing has been completed. Individualised dietary advice should be dispensed, based on the results of testing and the published research information related to diet and ADHD. A number of factors need to be taken into consideration for the diet; targeting specific nutrient deficiencies, removing specific dietary indiscretions and toxins and eliminating individual food hypersensitivities. A recent Dutch study found that putting children diagnosed with ADHD given a diet aimed at eliminating previously undetected food hypersensitivities decreased hyperactivity in 64% of the studied children. For more information about the role of diet in ADHD please click here. A study researching the neurologic effects of Cadmium, Lead, Mercury, and Arsenic in children concluded that heavy metals polluting the environment can cause subtle effects on the children’s neurological systems. As mentioned above, considerable research links ADHD with high heavy metal levels, especially lead, aluminum, cadmium, mercury, manganese and copper. A UK study found ADHD students were 17 times more likely to have high lead levels than controls. Testing children with ADHD for heavy metals should form part of a holistic assessment and treatment course. Removal of toxic heavy metals is done through various chelation methods. Ensure that your practitioner is using the safest, most effective method for you or your child. There is a solid body of research showing that neurotherapy is an effective treatment for ADHD. A statistical study of all the existing neurotherapy research was published in a neurology journal in 2010. At that time, more than 10 controlled studies had been completed. The results showed a significant benefit of neurotherapy for attention, impulsivity, and hyperactivity when compared to control groups who received computerized attention exercises, group therapy, muscle activity biofeedback, and being placed on a wait list. Follow up studies indicate that these improvements are lasting. Attention deficit disorder is associated with decreased activity in attention networks in the brain, especially in the front part of the brain, the frontal lobe. Several studies have shown increased frontal lobe activity after neurotherapy, documenting that neurotherapy is addressing the core problem in ADHD, not just temporarily reducing the symptoms. Neurotherapy assessments can also be used to analyse the patient’s brainwave activity as a tool to pinpoint the most suitable herbal or other alternative treatment. To make an appointment with Dr Tanith Davidson please contact her receptionist by visiting the contact page.